Time for Mom >> Just Plain Cute! 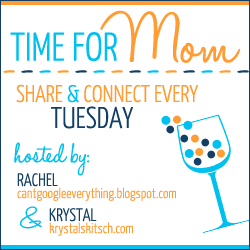 Welcome to Time for Mom- our Tuesday link up where you can share anything related to parenting, being a mom, your kids or family! This week I just have some cute ol’ photos I wanted to share! A few weeks ago we went out to dinner at our local Mexican restaurant, which is the perfect place to bring kids! They have a band that goes around and you can order guacamole which they bring a cart over to your table and make it right there! Carter wanted to be a big boy at the mall and hold his own juice box! We got Carter his own chair at Ikea and he loves it! Not sure why we decided to buy new furniture 3 weeks before we move, but he was so cute climbing into it in the store that we couldn’t resist! Carter was helping me pack! He actually did kind of help- I handed him books and he put them in the boxes! Monday morning Carter was helping me walk the dog! He loves holding the dog leash and ever throws a little fit when you try to take it away! Thankfully our dog walks pretty good and doesn’t pull or try to run away! And that’s what we’ve been up to lately! And now it’s Time for Mom! I hope you’ll link up with Krystal and me again this week! We are having a lot of fun interacting with everyone on the Facebook page and we hope you guys are, too! I wasn’t able to comment on everyone’s post last week, but I am going to make sure I do this week! Please take a button to help spread the word! Don’t forget to check out my new super sponsor! I am coming over to link up with you. Thank you for hosting Time for moms. Your little boy is a cutie! Especially love the photo of your son walking the dog! Thanks for hosting! haha he was obsessed with that chair saturday. he spent a good hour just climbing in and out of at and giving me the biggest "i'm so proud of me" grin every single time. He is a cutie! We love going out for Mexican food with our toddler because they bring out the chips right away which keeps her entertained until her food comes. Good luck with the move; I can't imagine doing it with a young child! Yikes!